DISCOVER TAJIMA >Hot Springs	>Kannabe Onsen "Yutorogi"
Adjacent to Kannabe Highlands Roadside Rest Area on the east side is Kannabe Onsen Yutorogi. Yutorogi uses a biomass(renewable) fuel that has a low impact on the environment, as its main source of heat. The facilities feature a Jacuzzi, main bath, cold bath, sauna and special powder room for the ladies. Twice a month the open-air outdoor bath waters are scented with citrus, mint, and so on depending on the season. After enjoying the baths, take a break in our spacious Japanese style lounge area. 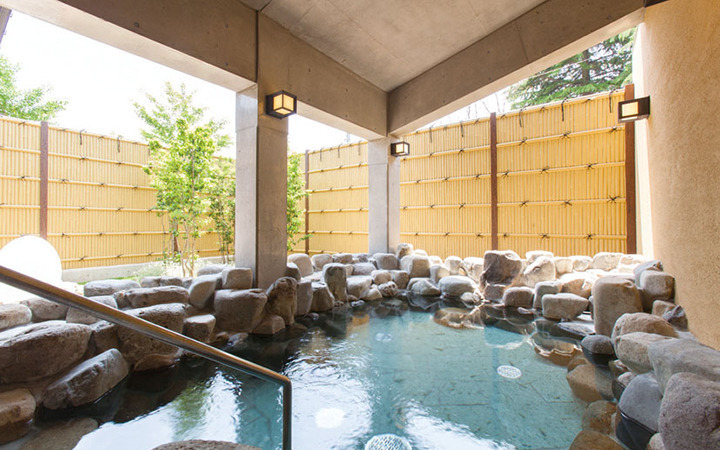 We hope that you are able to refresh your mind and body in our hot springs at the foot of Kannabe Mountain. Holidays: Open year round. *Closed for maintenance and staff training at undecided times.